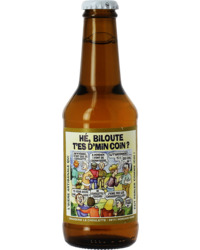 Craft Beer Gift Pack "Sans Culottes"
Based in Hordain, in a quiet corner of northern France, Brasserie La Choulette is run by members of the same Dhaussy family as 120 years ago. The story begins in 1895 when Jules Dhaussy acquired the steam brewery, with the aime of brewing a light blonde beer to sell to farmworkers. Initially, his venture was designed to substitute his income, but in 1902 it was listed in the breweries register, becoming a fully-fledged brewery. At the start of the 20th Century, Jules Dhaussy’s son Alphonse took on the business and, undaunted by the destruction of the brewery during the Great War, he used his uncles premises so as not to lose his momentum. 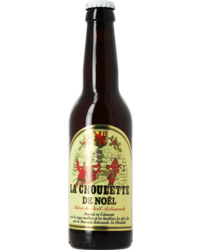 While the brewery had been left to Jules’s two sons, Alphonse and Jules Jr., activity ceased in 1951, Alphonse left to pursue his wholesale business in Valenciennes. 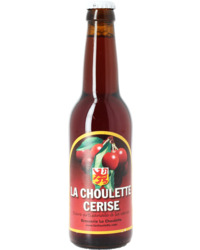 However he returned to the fold in 1977, taking on the Bourgeois-Lecerf brewery in Hordain, with the hope of offering his son the chance to continue his brewing lineage. 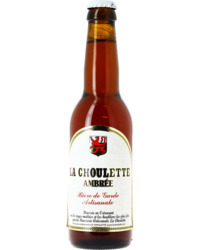 Having taken up the challenge, in 1981 the brewery launched La Choulette, a gold-amber bière de garde named after a local game that mixes golf and croquet played on an assault course. 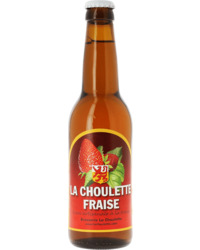 In 1986 Alain Dhaussy took over the family business, christening it Brasserie La Choulette.